Comfortable To Walk On - No Splinters! Finally there’s a way to waterproof your deck with a vinyl membrane system designed specifically for the outdoors. 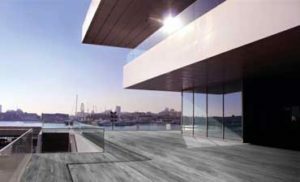 IntelliDeck is ideal for waterproofing elevated and rooftop decks. 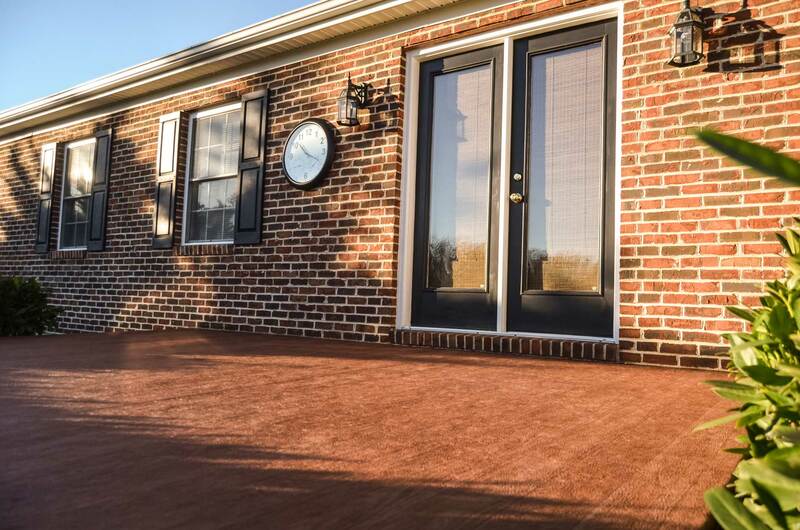 Our vinyl membranes (which is a code approved roofing material) are designed to be placed on new or existing decks shielding the area underneath against the weather and expanding your living space. 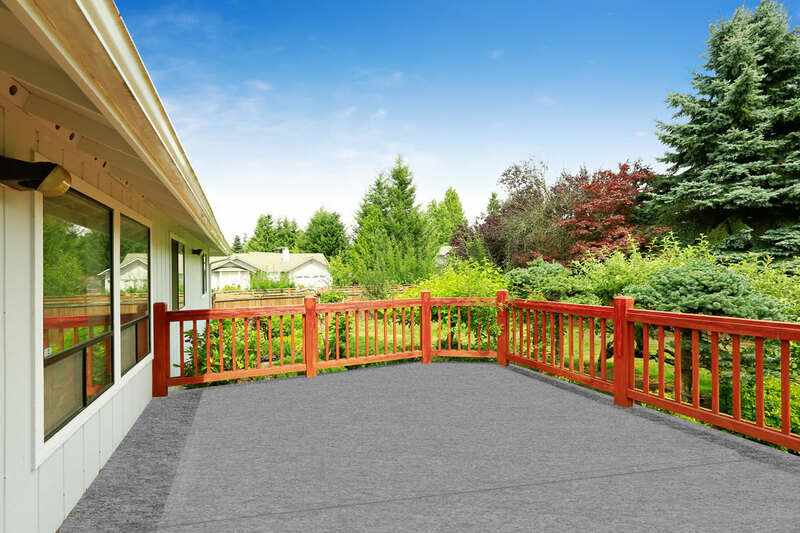 Our collection of attractive colors and patterns are barefoot friendly and slip resistant. 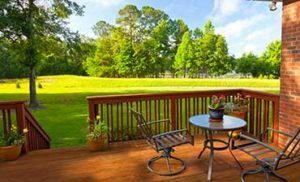 Say goodbye to sanding and staining, with just a some soap, water and mop you can keep your deck looking amazing for years. 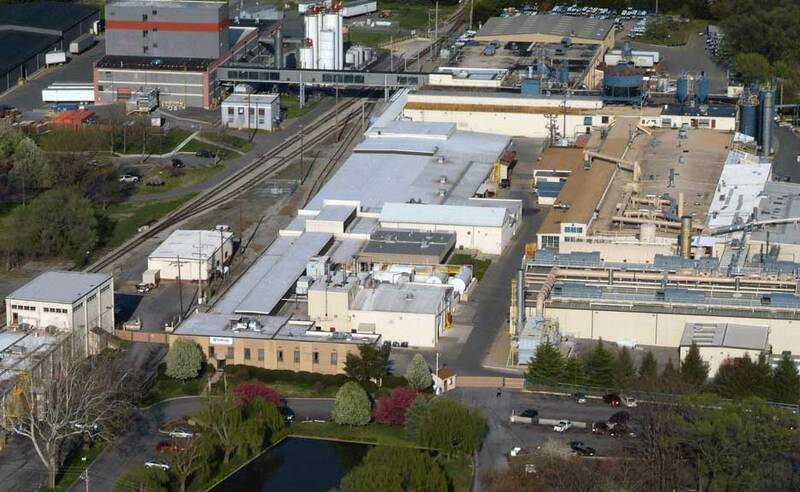 IntelliDeck is a code compliant product tested to stringent International Code Council (ICC) building product requirements, ensuring that it’s a safe product to put on your house! Since no wood is used to manufacture IntelliDeck, there’s no need to worry about splinters in your children’s, your pet’s, or your own bare feet. Your Sanding & Staining Days are Over! No More Sanding & Staining! Your installer will measure and prep, lay down a new plywood sub-floor, adhere it and heat weld the material for a waterproof, attractive finish. 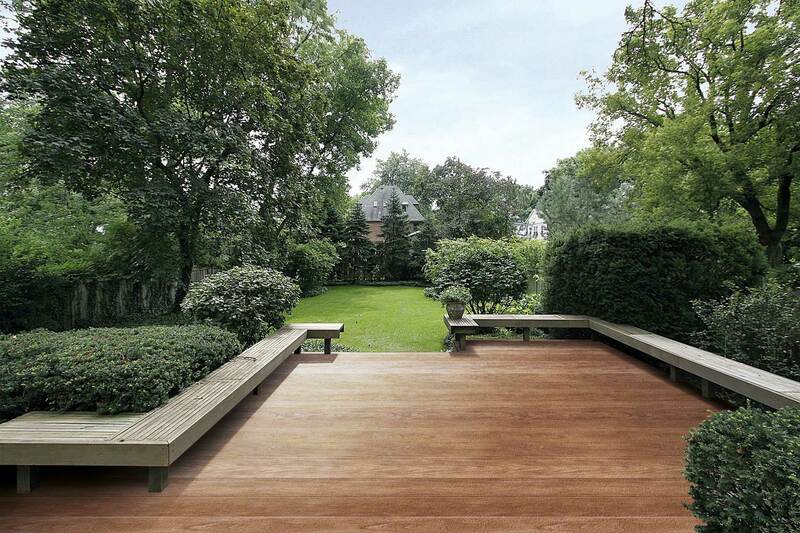 Loaded with benefits, IntelliDeck product is truly The Smartest Decking Solution – it’s the deck that pays for itself! With 6 heritage “Solutions” designs and 5 brand new “Evolutions” designs, IntelliDeck is certain to flatter every home.